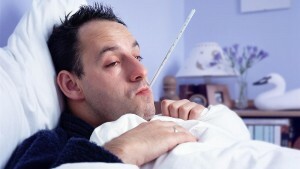 Many people call off Influenza as simply a cold that will get better on its own. This may be the case in younger individuals with a stronger, more robust immune system, but may lead to more serious consequences in older adults. A period of time in the hospital may be required if conditions get worse. In some cases, influenza can even be fatal, especially when combined with an already existing chronic illness. The flu is an incredibly contagious disease, and will spread simply by being in contact with nasal drops or any sort of coughing/sneezing from an infected individual. A common problem that causes influenza to spread so easily, is that people don’t realize they are infected with it until they physically feel sick, and contact other unknowing individuals. This is especially the case when younger people feel okay, but spread their illness to seniors, who are more vulnerable to influenza, and leads to worse consequences. The simplest method to avoid contracting the flu is to obtain an annual flu vaccination from your doctor. This vaccine has already had a huge positive impact on the death and hospitalization rates caused by the flu. In fact, there is a special vaccine developed specifically for the elderly that has four times the amount of dosage of vaccine per shot. It is necessary to obtain a flu vaccine annually due to the flu viruses changing in variation every year. One of the common complications in seniors, associated with the flu is pneumonia, found mostly in adults over the age of 65. If you or a loved one are in this age range, it is recommended that you get the second vaccine for preventing pneumonia as well. Both vaccines are found in almost all clinics or hospitals. There is no real ‘cure’ for the flu. The best cure is to avoid contracting it in the first place, which is why vaccines are so important. For those already infected, the best way to treat the flu is to rest and drink lots of fluids. Your physician may possibly prescribe Tamiflu® or Relenza®, 2 anti-viral medications that stop the virus from spreading, and to shorten the effects of symptoms. Neither of these truly treat the disease, but helps to control symptoms, as long as they are taken within 48 hours of symptoms occurring.